We are finally into April, which means one thing for movie fans. We are finally into the month of Avengers: Endgame. The past 48 hours has been complete mania, so it is time for an update as to this past week in the world of Marvel. Mar 27: Character posters were revealed for 32 characters in the film. These posters had 16 alive, and 16 "dusted". Announced among the living were Valkyrie and Pepper, and announced among the dead was Shuri. This is where the tagline "Avenge the Fallen" originated, and people have taken this poster format and been completely creative with it. Mar 29: The gorgeous movie poster (shown above) is released for Avengers: Endgame in China. This is a poster that I want framed and placed on a mantlepiece. An alternative poster has also been created in Russia. Apr 1: There is a start to merchandise reveals for some of the characters. 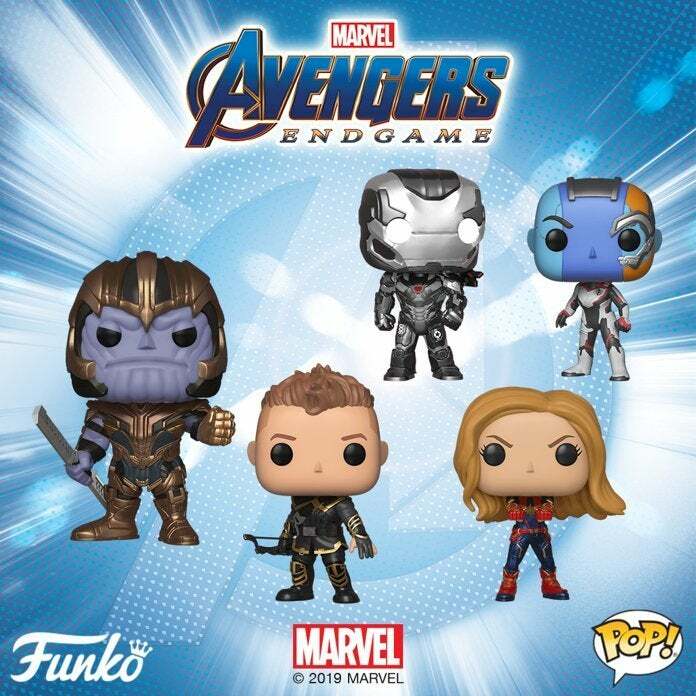 My most anticipated is the Funko Pop Vinyls, in which I am definitely picking up the Thanos in armour. Apr 2: This was a day of mania that we all had to be ready for. At 2pm in the UK, the tickets became available for Avengers: Endgame, and everyone had a nightmare. I spent 30 minutes trying to fix the Cineworld app, deleting pre-bookings from my Unlimited card just so I can finally book my favourite seat for the Infinity War/Endgame double-bill showing starting at 8:30pm. I also saw chains such as Vue have an online queue for over an hour for people booking their tickets. I just feel bad for people in the US. Alongside the announcement for the ticket release, they also released another 1 minute TV spot trailer. This small trailer managed to cram in so much information, but everything has already been said about these trailers. This was a very well done trailer, and now I just want to see how this film will plan out. I hope there are no more trailers, as I do not need to see any more footage from this film. April 3: Captain Marvel has officially made over $1 billion in the box office, only helping show the support for the MCU and the large fanbase that it has. Knowing people personally that did not see Captain Marvel but are excited to see Avengers: Endgame on opening weekend. This is also paired with the news that Avengers: Endgame is breaking pre-sale records within the space of hours, but I am just waiting for the box office predictions. With a 3 hour run time, allowing less showings per day, it may be hard to beat the opening weekend attendance of Avengers: Infinity War. I am sure that more posters, TV spots and news will break about this film on a daily basis, so I am going to potentially do a weekly recap every week until that fateful night of Wednesday March 24th when I go in for my double bill showing, and come out that early Thursday morning hyped and ready to go at it once again. Are you as excited as everyone else for this film? Have you got your opening tickets booked? Let me know in the comments below. Less than three weeks to go now!